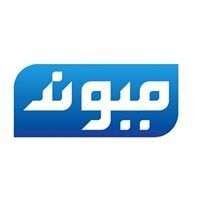 General TV Channel / Maiwand TV is a television network channel in Kabul, Afghanistan. Maiwand TV has been registered with Afghan Government. Maiwand TV headquarters is based in Kabul and covers more than ten other provinces through regular antennas and cable networks. It also covers other provinces of Afghanistan, Asian countries and some parts of Eastern European and Australia through satellite transmissions and gives them spectacular programs. In a short period of time Maiwand TV tries to have all provinces of Afghanistan and most of the European and American countries Under its satellite coverage. Maiwand TV is not related to any political party, its transmission is paralleled to the National Interest of Afghanistan and based on freedom of speech, human rights, women rights and democratic values.